Governor of Adamawa's Chief of Staff, Abdulrahman Abba-Jimeta is dead. Abba-Jimeta was said to have died in the early hours of Monday, June, 18 while performing hajj in Mecca Saudi Arabia. This was disclosed in a press statement authorized by the Adamawa State Commissioner for Information and Strategy, Ahmed Sajoh, and made available to newsmen in Yola. 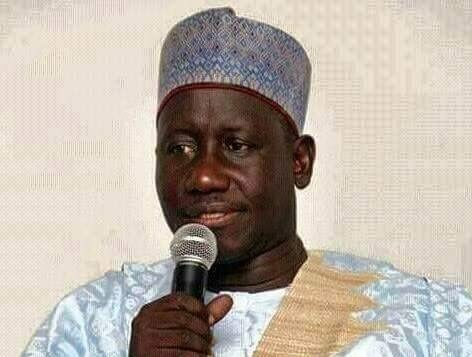 Sajoh said, “It is with a deep sense of grief and total submission to the will of Almighty Allah that the Adamawa State Government announces the passing away of the Chief of Staff, Government House Yola, Alhaji Abdurrahman Abba Jimeta. Sajoh said, “His Excellency, the Executive Governor of Adamawa State Senator Muhammad Umar Jibrilla Bindow has declared three days of mourning in Adamawa State starting from Monday the 18th of June 2018. “The Governor calls on the people of the State to pray for the peaceful repose of the soul of the late Chief of Staff. According to the family, the late Abdurrahman Abba Jimeta will be buried in the afternoon on Monday 18th June, 2018 in Makkah the Kingdom of Saudi Arabia according to Islamic Injunctions.